An unidentified teenage boy was crushed under a bus after he jumped from a Mawna flyover in Sreepur on Wednesday night. 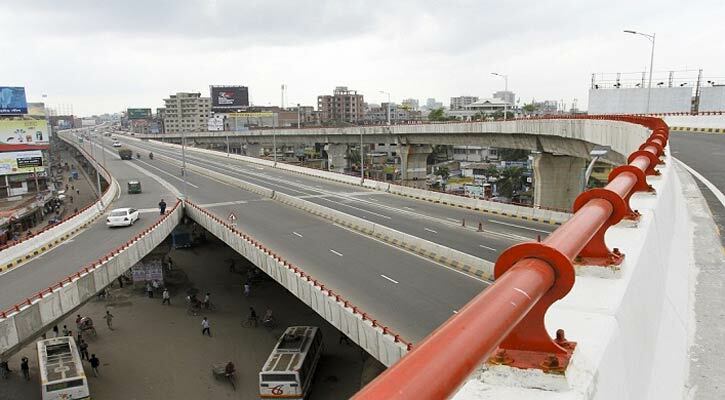 Delwar Hossain, officer-in-charge of Mawna highway Police Station, said that the bus hit the boy when he jumped from the flyover around 10pm, leaving him dead on the spot. On information, police recovered the body and sent it to Shaheed Tajuddin Medical College and Hospital.